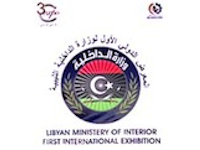 Hawki was please to be invited to the First Security Exhibition in Tripoli on 11-13 February. The exhibition was over a three day event and visited by many national and international representatives. It was a huge success.